Providing you the best range of leaf area meter with effective & timely delivery. We are a leading name involved in importing and exporting of Leaf Area Meter. These are used to measure the length of leaf. Having a high resolution, these accurately measures width perimeter, area, length and ratio of leaf simultaneously. 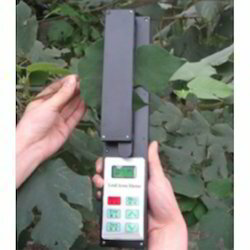 Leaf area meter has the capacity to measure the dimensions of leaf while it is attached to the plant. Leaf Area Meter Systronics ( made in Indi , model no : 211 complete with all standard accessories. Looking for Leaf Area Meter ?